Post and Rail fence is one of the best choices for covering large areas. Combined with a vinyl coated welded wire or chain link fence fabric, it makes an economical pet or pool enclosure. 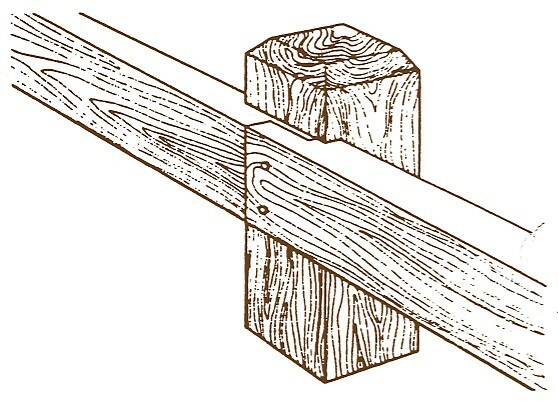 We offer three different types of post and rail fence; Eastern White Cedar Post and Rail Fence (two or three rail, paddle or dowled rail ends); Diamond Style Cedar Post and Rail Fence (two or three rail) and Locust post and assorted hardwood rail fence (two, three or four rail). Protection with class. Guard rail is sometimes called Guide rail. Our wooden guard rails are designed to keep people or vehicles from entering dangerous or off limits areas. Most guard rails in public places are intended to protect against accidential falls at grade changes as well as dangerous curves in driveways or roadways. Wood Guard Rail Posts are 8x8 Southern Yellow Pine, .40 treated. Rails are 4x8x10 Southern Yellow Pine, also .40 treated. 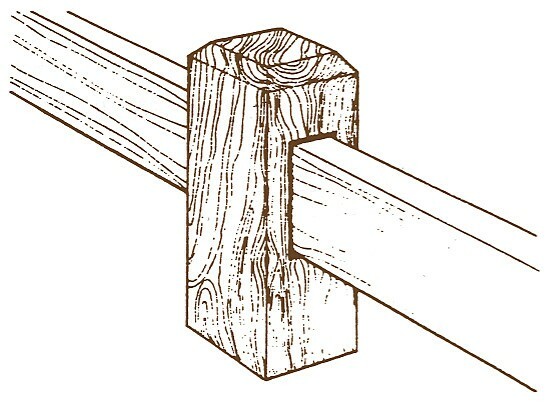 Posts are available in either notched or mortised styles (see below).